Welcome to my fourth posting of Stacking the Shelves! 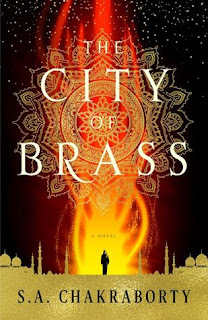 Because of recent activities in the book community, I'm going to be highlighting my more diverse books and authors today since I haven't been 'present' online lately and this is the first I've heard of the most recent happenings. Don't be racist, it's not that hard, y'all. Have I mentioned how obsessed I am with Mulan? I first learned about Mulan like most kids did, thanks, Disney. I finally had a Disney Princess. So, I did what I always do, I obsessed. And then, I learned all about the Mulan folklore, centuries of folklore with statues and paintings and plays and poems, I love Mulan. 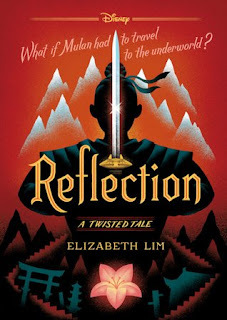 So give me all the retellings about Mulan. I will read them all. ast to confront her about the letters: her first kiss, the boy from summer camp, even her sister's ex-boyfriend, Josh. 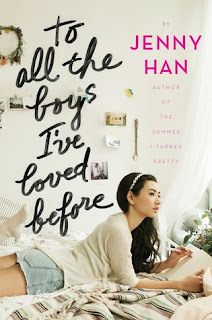 As she learns to deal with her past loves face to face, Lara Jean discovers that something good may come out of these letters after all. I love this series. I read all three books in 24hrs. Stay tuned for my reviews, but I wanted to wait a bit on them since literally everybody was doing them. Anyways, these books are great, they're gorgeous, and now that I'm talking about them again, I want to read them again. Whoops. I admit it, I will walk into a bookstore and just grab any book off the shelf that's cover interests me and buy it. I've come across a lot of good books that way. 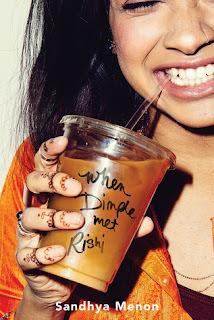 When Dimple Met Rishi has coffee on the cover. I bought it and it was being hyped up on book twitter right at the time I joined and it's so pretty. I also bought a copy for my mum's classroom library. 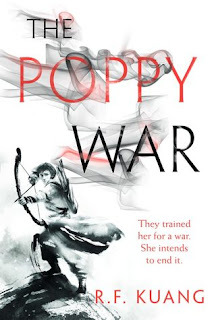 Because I love that cover! This book is beautiful and terrifying and fantastical in so many complicated ways. I won a hardcover of it in addition to my kindle copy and it sits on my shelf lording over my other books for its glorious dust jacket. I don't know the allergies are killing me and I'm a bit slaphappy. I bought it for the cover! This cover is glorious and all things spectacular and magical in this world and the next. I haven't read it yet because if I don't like it, I'll not want to look at it anymore. I have issues, okay. But it's on my shelves so it counts for this tag. Okay, so that's it for my fifth Stacking the Shelves. I know, I hit a lot of popular books in this one. I blame the fact that I've got a banger of an allergy headache. I was lazy. I'll own it. Check back later, I'll have another one for y'all so that I'm all caught up with my schedule.